The National Assembly member representing Barkin Ladi/Riyom Federal Constituency in the House of Representatives, Hon. Istifanus Gyang says the progress of Plateau State in the next five years would be determined by the quality of its leaders. According to him, the decision of citizens to 'wisely' usher in a leadership that will engender good governance and bring to realisation the collective dream of the State in the 2019 elections is crucial to the protection of the State's future. The ex Plateau State Security administrative head believes the main problem of the state is managing the diversities therein and creating an atmosphere of inclusiveness and fairness for all. Gyang in a press interview on Friday in Jos noted that Plateau is in dire need of "A leadership that can effectively manage the plurality and diversity of the state and change the perception of negativity to building understanding, accommodation, confidence, community and sense of togetherness and oneness; leadership that is genuinely selfless, altruistic, all embracing and accommodating, not a leadership that is parochial, deceptive and manipulative." He added, "My dream of Plateau state is one with a visionary and compassionate leadership that has the will, passion, capacity and determination to change the fortunes of the state for the better; one that will engender good and inclusive governance, thus erasing doubts, suspicion, apprehension, and the fear of marginalization and exclusion." In his words, Hon. 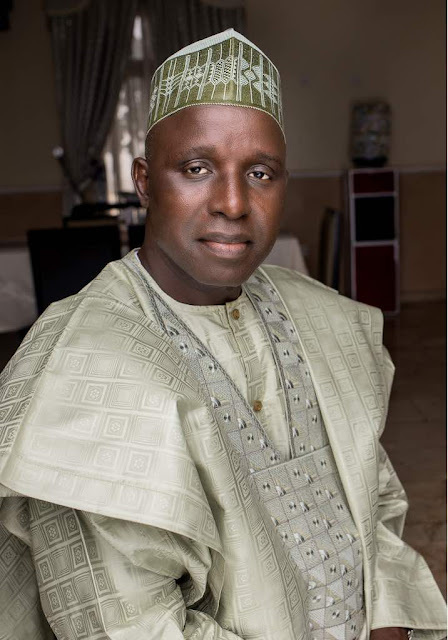 Gyang said this has been one of his biggest aspirations especially as he seeks the Senatorial seat of Plateau North in the National Assembly. "I shall also be a Senator in whom all people shall freely identify with, having zero tolerance for ethnic and religious bias or prejudice. "This I shall do through inclusive representation that is accessible, all embracing and accommodating. "I shall be a platform for the promotion of communal harmony and peaceful coexistence. "We shall advocate respect for both citizenship and customary rights of the people and pursue social integration. "We shall effectively and positively manage the plurality and diversity of Plateau North and transform it from negativity to positivity and turn the inherent adversity into opportunity for the good of all," he said. The rep member primarily aspires to 'consciously' pursue general "youth empowerment, skills acquisition, scholarship awards and employment generation to gainfully engage youth." Gyang who has served two administrations in the state gave a highlight of his performances at the legislative House to include 20 bills and several physical and nonphysical projects. He said, "God has enabled me to raise the bar of representation to an all time high on all the rating points and performance indices as far as my constituency is concern. "In the axis of law making, I sponsored over 20 Bills covering the critical sectors of our national life. "In this month of August, 2018, one of my Bills, that for the establishment of the Medical Laboratory school of Technology, Jos was signed into Law by the President. "This has provided the institution with the necessary legal framework and backing that authenticates its existence and the integrity of its courses/ certificates. It has put to rest attempts to move the institution out of Plateau state as is the case with many such Federal establishments in the state. "I have through motions and active participation in debates on the floor of the House influence the resolutions of the House on key national issues. "I have attracted government presence through Constituency Projects delivery too numerous to be listed here. "A sample of the many projects include education sector in which we built and renovated 4 secondary and primary schools and awarded scholarships to over 300 students; built a medical centre and carried out medical outreaches in the health sector; human capital development witnessed training and skill acquisition, employment of over 50 youths in Federal MDAs, the Military, Police and Para military agencies; commerce and entrepreneurship witnessed two rural markets of 90 shops each, provided empowerment for men, women and youths with starter packs and items for income generating endeavours. "Others are rural roads and electrification, water supply and sanitation having both solar and hand held boreholes. The agricultural sector saw the distribution of fertilizers and water pumps for all seasons farming. "The social sector had a modern town hall while Peace advocacy and rallies were held in all districts to constructively engage and involve the people in peace promotion and peace building efforts." His performance is driven by a vision he holds of Plateau which he intends to support to reality through whatever means possible. "I envision a crisis free Plateau state where communities and citizens coexist peacefully, upholding and respecting both citizenship and customary rights of each other. "I envision a Plateau state where all persons and communities displaced by violent attacks are returned and resettled on their ancestral lands and reintegrated into safe and harmonious communal coexistence. "I envision a Plateau state with a leadership that has the capacity and commitment to constructively engage the people in institutionalizing peace building and entrenching the culture of dialogue. "I envision a Plateau state with functional infrastructure, modern agricultural practices, enhanced healthcare delivery, upgraded and expanded education and learning opportunities, strong and resilient public institutions, a vibrant private sector and an entrenched entrepreneurial culture, a resourceful, well motivated and more productive work force, etc." Mr. Gyang however expects citizens to fulfill their constitutional obligations of electing credible leaders by participating fully and wisely in the 2019 electoral process to bring about the actualization of the aforementioned dreams.